I am knitting this horse sweater inspired by Tove Janssons flower horses. The horses look a little chubby but it kind of fits its sympathetic character. I was considering turning them into cows at one point when they were far from resembeling horses, but with some adjustments while knitting I think I got them to look like horses. I am using different alpaca and wool yarns in violet, blue and lilac colors. 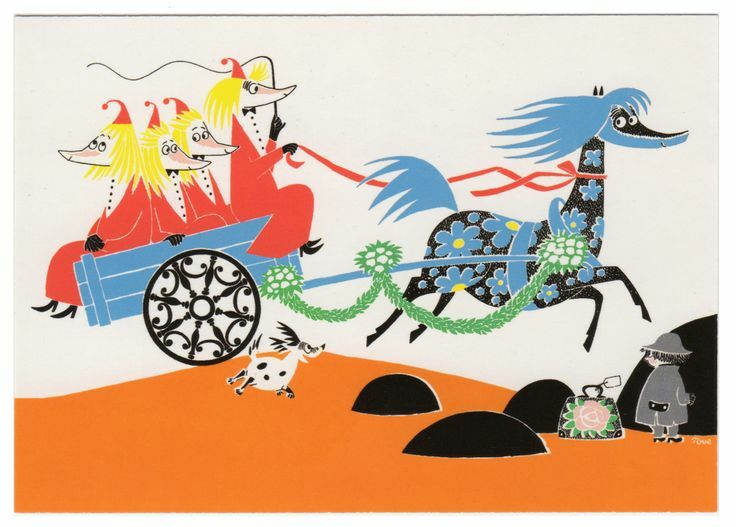 Illustration from Tove jansson Who will comfort Toffle?. I think I will emdroider some details onto the horses once the whole sweater is finished, maybe some flowers and eyes and the red ribbon around the neck.